In his last chapter, “Global Militarization”, the author presents the question whether we are at the doors of a third world war. The U. S.-led Nato alliance has already caused havoc and political chaos across the Middle East. More of the same can be expected in Syria and Iran. According to Nazemroaya, “a global anti-establishment counter-alliance has formed against the U. S. and Nato”, which consist of China, Russia, and Iran. (p. 342) Against these countries, plus North Korea, Syria and Iraq, America’s nuclear weapons are targeted at, writes the author. “The US, UK, France, and Nato – under Washington’s orders – all have refused to commit to a policy of ‘no first use’ for nuclear weapons unlike non-Nato nuclear powers.” (p. 345) This nuclear deterrence policy of the U. S. is stated in the “Nuclear Posture Review” of 2010 and reiterated in the just published report on “Nuclear Employment Strategy of the U. S.” Politically speaking, the U. S. is committed to nuclear first-strike warfare against the above mentioned countries. 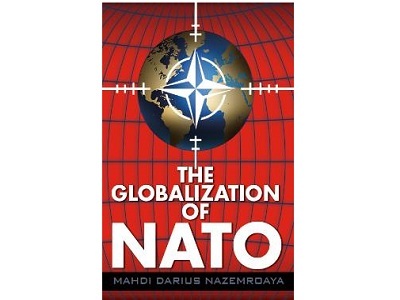 In his book “Global NATO and the Catastrophic Failure in Libya”, Horace Campbell argues that Nato is “the instrument through which the capitalist class of North America and Europe seeks to impose its political will on the rest of the world, however warped by the increasingly outmoded neoliberal form of capitalism”. Within the peace and justice movement, the author argued that although Muammar al-Gaddafi should be opposed, “it was equally necessary to oppose the NATO intervention” (p. 10). For the author, Nicolas Sarkozy was the champion of the “uprisings” but at the end it has not paid off politically for him. Although colonialism has formally ended some decades ago, France is still considered the gendarme of Europe in Africa. It is against the reality of the NATO intervention in Libya, like Nicolas Sarkozy’s statement shows: “We will fight to save the euro.” (p. 29) In September 2012, the media reported that “Gaddafi was killed by a French secret serviceman on orders of Nicolas Sarkozy”. (p. 11) Was this the thanks for the 50 million U.S. Dollars to Sarkozy’s election campaign in 2007? When the uprising started, young Western-minded intellectuals hijacked the protest in Libya. Some of them had been closely associated with Gaddafi’s oldest son Saif al-Islam. These reformers had internalized neoliberal economic thinking and wanted Libya to become like Kuwait or the Gulf States – basically client states of Western capital. They were the opponents of the defenders of “Libyan resources nationalism”. These nationalists promoted policies designed to increase Libyan government control over and share of revenue from hydrocarbon resources. (p.256) The increasing presence of Russia, Brazil, and China in Libya challenged the old world order from the view of Western multinationals. A chilling but important read.